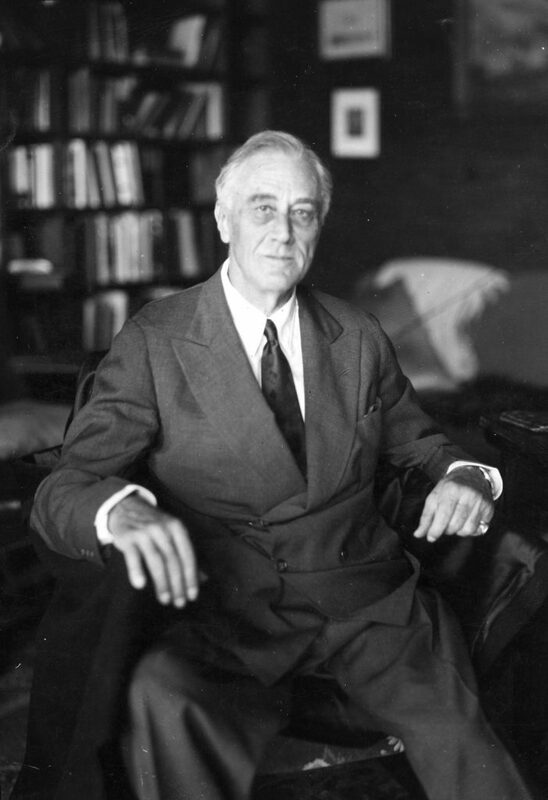 If we were to do an episode on the entire life of Franklin Delano Roosevelt, it would have to be at least a 12 hour series. Instead, we will focus on a short period of his life that is one of the most fascinating—the end of it. This isn’t the FDR of the famous 100 days—the one who captivated the nation by the sheer power of his strength and charisma. Instead, this is the FDR who, after years of leading the nation through depression and war, found himself physically exhausted, racing against his own mortality to build his vision for a new world. The final photograph of President Franklin D. Roosevelt – taken at Warm Springs, Georgia on April 11, 1945 – the day before his death. By then he believed he was working to save the world from future catastrophe. What we will find is a man who appeared to remain the master politician, mentally still at the top of his game, orchestrating events from behind-the-scenes. But those abilities were put to their greatest test when he faced an agonizing dilemma in the realm of world politics—whether to pursue that vision of a new world at the expense of our deepest values and in cooperation with one of the greatest mass murderers in all of history. And all the while, he was physically at his weakest point and was hiding a secret from the American people—a secret that exposed his country to great risk at a critical time. This is the FDR—whose actions were both inspiring and unsettling—who we will explore in this episode of This American President.